This property has had 11 views in the last 3 days! NEW KITCHEN APPLIANCES AND UPDATES FOR 2018 SEASON! 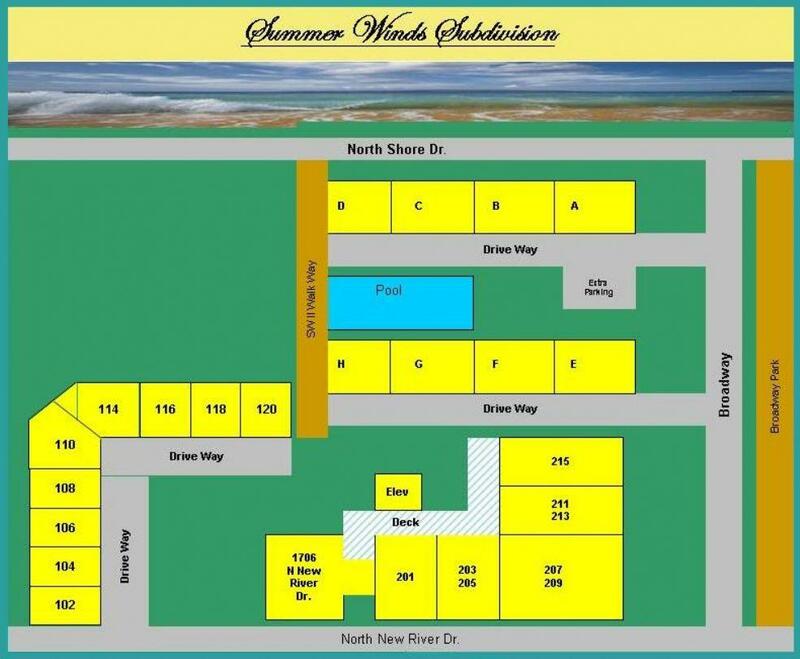 Summer Winds is located on the Northernmost beaches of Surf City. The complex boasts a pool, public playground next door, public beach access across the street, and a small convenience store to the rear of the complex. Unit 102, "Absolute Pirate," is located on the street side of the complex. 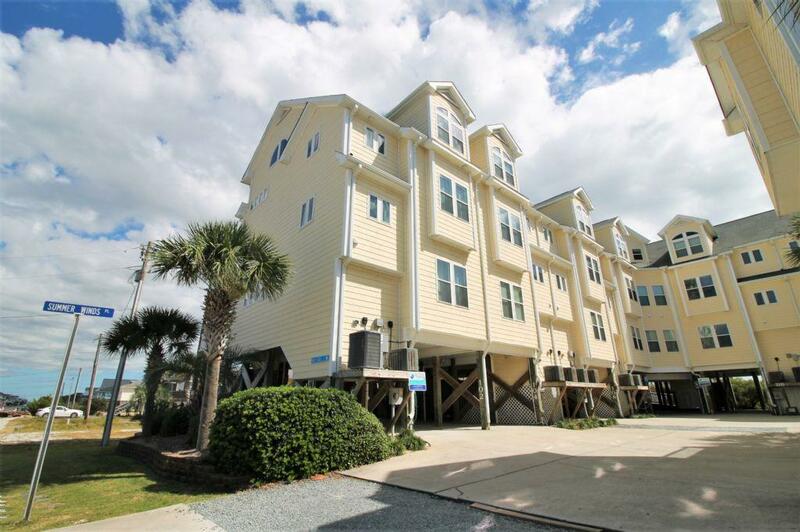 This unit has two separate living rooms, three private bedrooms with private full bathrooms and a large loft with additional sleeping accommodations. Entering the keyless entry home from the ground floor, you are welcomed into the first-floor living room with comfortable couches, 41-inch flat screen television with a Cable Sports Package, Netflix and DVD player plus access to the lower deck. Bedroom one and two flank the living room. Bedroom one has a king bed while bedroom two has a queen, each of these have their own private full bathroom. The lower deck is L-shaped and wraps around the unit for two separate views. Continuing up the stairs, you arrive at a landing where there is a small laundry area with washer and dryer. The unit opens up into the kitchen on the second floor with a large dining table and the main living area directly ahead. The kitchen is fully equipped with GE Slate appliances, a double oven, granite countertops, maple cabinets, an extra coffee pot, hand mixer and ice cream maker. It's also equipped with tons of extras including a Crockpot, waffle iron, griddle and coffee grinder. The living area has a huge L-shaped sectional, a 60-inch flat screen TV with a Cable Sports Package, Netflix account, Blu-ray DVD player, Bluetooth stereo and access to the second deck. Private wireless internet is available throughout for seamless entertainment streaming. Bedroom three is located on the main level on the opposite side of the unit. This bedroom contains a king bed with private full bathroom. 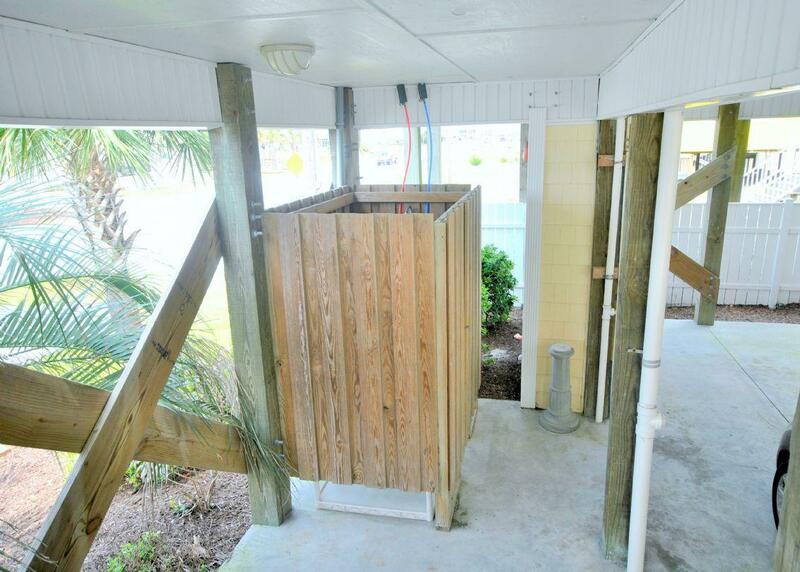 Following the stairs up to the third level, you will stop on a landing which has a half bathroom. The third level of this townhouse is a large loft containing two additional queen beds (one being a murphy bed) and a twin bunkbed. This home can accommodate up to 12 people with comfort. For your convenience, a carport provides covered parking under the unit, an enclosed hot/cold shower and access to both a gas and charcoal grill. For Aaarrr-guably the best treasure on the beach, look no further than "Absolute Pirate! "This condo had everything you could Imagine! It was well stocked with games for kids, appliances/every need imaginable in the kitchen, beach accessories for a day at the beach and space for everyone so we weren't on top of each other. 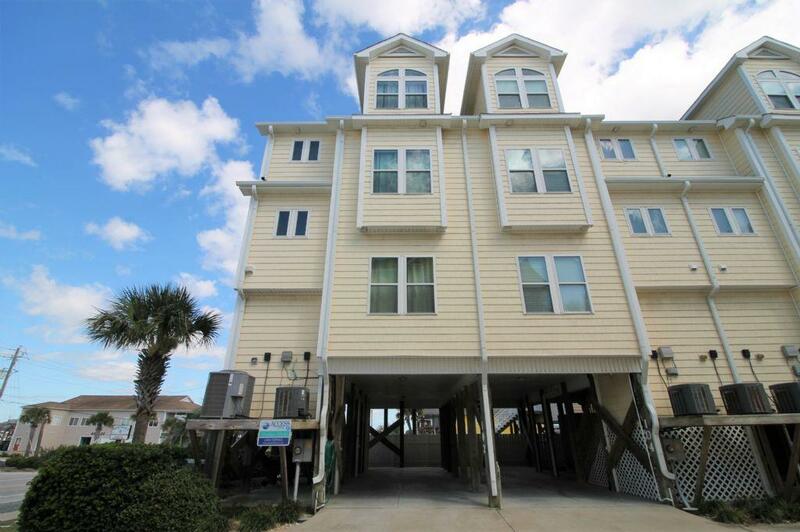 Fantastic floor plan and tucked in the corner away from public beach access nearby. We walked across the parking lot, across an access road and BOOM, beach was right there! Short trip with 5 kiddos with small legs. We loved this place and plan on returning in the Future!" How many parking spots does this condo have? Two cars can fit under the unit and there are a few guest overflow parking spots around the complex.